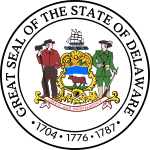 The 2012 United States presidential election in Delaware took place on November 6, 2012, as part of the 2012 General Election in which all 50 states plus The District of Columbia participated. 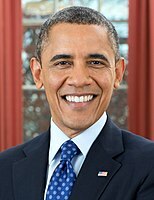 Delaware voters chose three electors to represent them in the Electoral College via a popular vote pitting incumbent Democratic President Barack Obama and his running mate, Vice President Joe Biden, against Republican challenger and former Massachusetts Governor Mitt Romney and his running mate, Congressman Paul Ryan. The Delaware Democratic 2012 primary was cancelled. The Delaware Republican 2012 primary took place on April 24, 2012. ^ “Official General Election Results”. State of Delaware. 2012-11-07. Retrieved 2012-11-07. ^ “Primary and Caucus Printable Calendar”. CNN. Retrieved January 11, 2012. ^ “Presidential Primary Dates” (PDF). Federal Election Commission. Retrieved January 23, 2012.